Well… It’s official. It was -3 Celsius this morning (about 25 Fahrenheit). This is what it looked like out my window. 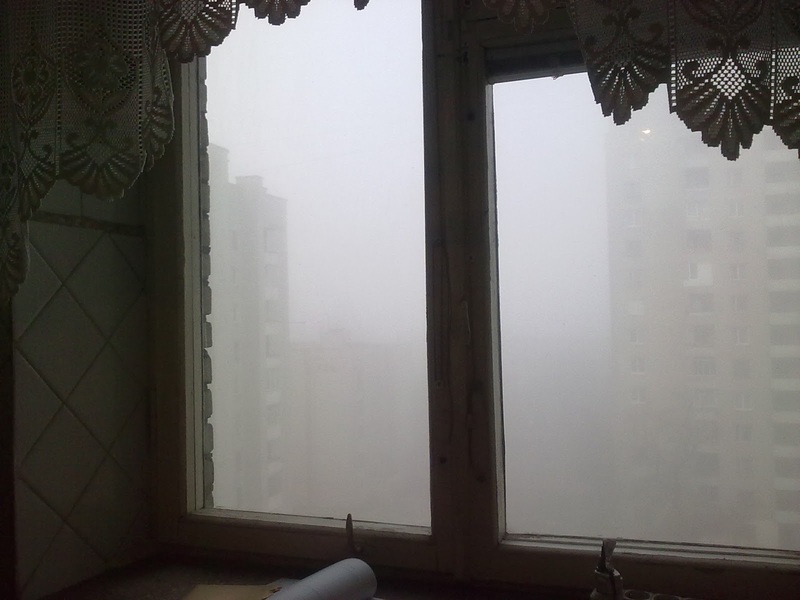 When I first got up, I couldn’t see anything out my window, because the fog was so thick… In fact, the camera actually sees out the window a little better than my eyes do, for some reason. In Texas, this would be far past winter… haha. Pray my blood gets a little thicker.